French singer and composer known for his work in both musicals and films. 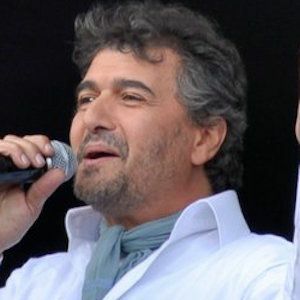 He is perhaps best recognized for the duet "Ce Rêve bleu" with Karine Costa for the French version of Disney's Aladdin. While growing up in Lyon, he learned to play the piano and eventually spent a decade studying at the conservatory there. By 1983, he'd recorded and released his debut album Cocktail. In 1991, he portrayed legendary composers Musset and Chopin in the musical Sand et les Romantiques. He was born in Constantine, Algeria to a Jewish family, but grew up in Lyon. In 2000, he starred alongside Pascal Obispo in the musical Les Dix Commandements. He later went on to collaborate with Obispo on the album Le Cœur ouvert.